This fellow was trekking along in a park when he pulled off to the side of the path to examine something. He must have been drawn by the intense smell. He picked it up, moved it a few inches to a more appropriate/accessible place, rolled on it, picked it up again, carried it off about ten feet and then buried it. The above photos show the “find”, “rolling on”, and “carrying the item for burial”. Below I caught the end part of the burying on video. When I got home I was able to see from my zoomed-in photos that the object of interest was a tiny mole. It had been dead already when the coyote picked it up — there was no killing as I watched. I actually went back to see if I could find the little deceased critter. Even though I had photos to guide me to the exact location, I could not re-locate the animal. Of course, the coyote will have no trouble at all re-locating it — by scent — when he wants another perfume bath! Well I continue to marvel at the photos, video, and most important the info! 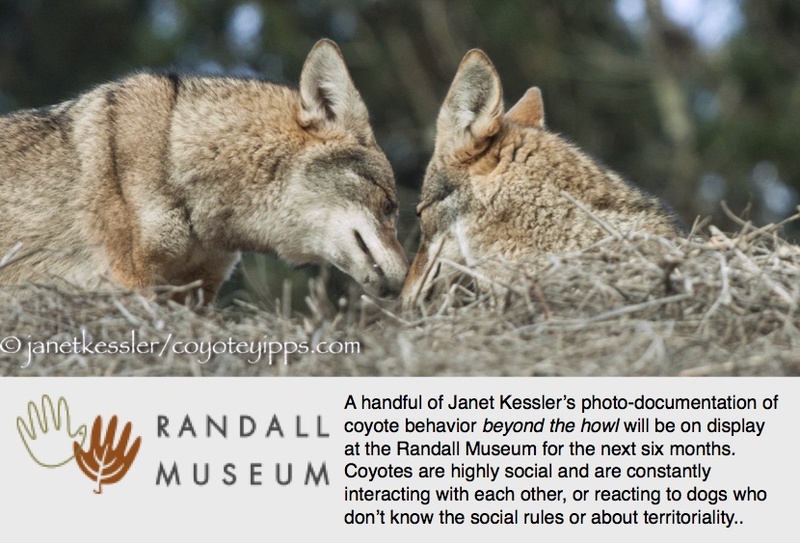 Now why would the coyote not just eat that mole? Will it eat it later? It seemed to find it quite valuable but I thought there would have been a sniff and then a gulp. I have never seen a coyote eat a mole. I think there must be something distasteful about them. However, I’ve seen them captured and rolled on, and saved for rolling on later. Their value lies in their odor. What exactly that odor means, we don’t know. It could serve as camouflage, or it cold serve to announce to others what the coyote has been up to. Or, as with humans, it could just be that some coyotes like to perfume ourselves. Domestic dogs are big on this.